I am thrilled to welcome Sarah Baughman to the MG Book Village for the cover reveal of her debut novel, THE LIGHT IN THE LAKE. Many thanks to Sarah for letting us host the reveal and for taking the time to answer a few questions about her novel. 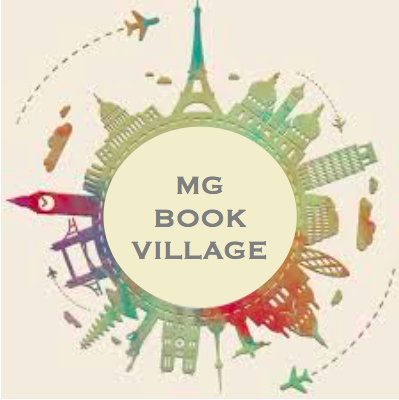 Corrina: Hi Sarah – welcome to the MGBookVillage! Before we share your cover, can you tell us a bit about The Light in the Lake? Sarah: I’m thrilled that you’re hosting my cover reveal! Thanks so much. The Light in the Lake follows the journey of Addie, a 12-year-old girl who lost her twin brother when he drowned in a lake near their rural Vermont home. Addie has recently been accepted for a summer position studying water pollution, but she finds her scientific view of the world challenged by a notebook her brother left behind, filled with clues about a magical creature living in Maple Lake. The book is close to my heart, as the setting is strongly inspired by where I used to live in Vermont; I actually got the idea for the story while walking in the woods behind our old house. Corrina: I’ve always been fascinated by the tension between a scientific view of the world and a magical view of the world. Do you see them as compatible? Sarah: This is a great question, and I actually do see them as compatible even though they might seem contradictory! One of my best friends in college was a chemistry major, and I have a distinct memory of walking back from cross-country practice with her on a foggy afternoon. I made some poetic comment about the fog looking otherworldly, and she said, “that’s funny; I was thinking about condensation.” I believe and find value in both perspectives. That said, I’ve always sensed magic in nature, and still do; so although I’m deeply committed to the science of conservation and believe we’re all in debt to scientists who continue to discover new information about how best to protect our environment, I also feel that noticing those touches of magic creates a kind of emotional connection to nature that’s very important. Corrina: Let’s take a look at the cover! Corrina: That is gorgeous! Who is the artist that designed your cover? And what did you think when you saw the final version? Sarah: I’m so grateful to the people who created this cover: illustrator Ji-Hyuk Kim and designer Karina Granda. The final version absolutely took my breath away! I was amazed by how beautifully all the elements we’d discussed came together. The colors and light really capture the beauty of the setting, along with Addie’s sense of wonder. Corrina: Sarah – thank you for letting us take a peek at the cover of The Light in the Lake! When can readers get it, and where is a good place to preorder? Sarah: The book is scheduled for release on September 3, 2019! In the meantime, you can pre-order it on Amazon, IndieBound, or Barnes & Noble. You can also add it on Goodreads and stay posted for more retailers on the Little, Brown site. Thanks again for hosting this reveal, and for doing such a wonderful job of supporting and promoting middle grade books! Sarah R. Baughman grew up in Michigan, then taught middle and high school English on four continents. After living in rural northeastern Vermont for six years, she recently moved back to Michigan with her husband and two children. She now works as an educational consultant and author, and spends as much time as possible in the woods and water.